Some Russian Verbs are conjugated in a different way. For example, a verb in the infinitive form ends in -ать which means that it should be the 1-st type of conjugation, but it is changed as the 2-d type. Or some verbs-exceptions have absolutely different endings. You should learn them. 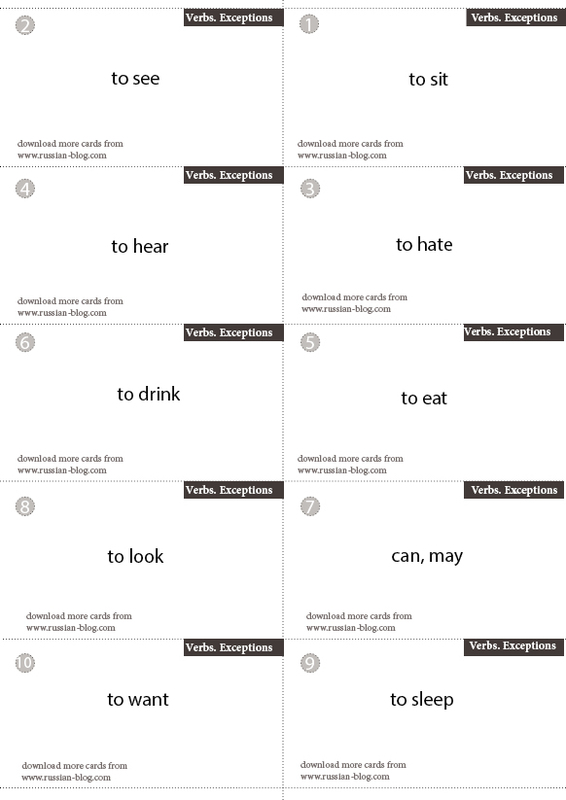 You can print out these two pages at the same piece of paper from both sides and make cards to practice the verbs.